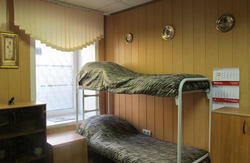 AROOMS has been design for you to enjoy your stay in a style of rock'n'roll traveler. 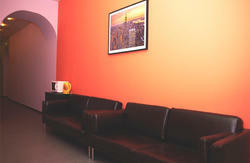 Come over to spend time in our rooms and meet people who are on the same wave of rocking with you. Have you ever dream to feel yourself as a young celebrity? - we promise you gonna experience it in here. From Sadovaya/Sennaya metro stations, on Ulitsa Sadovaya take ulitsa Efimova left, at the river turn left and cross on Gorokovaya bridge to the right, after the bridge turn left along the river, our hostel will be at nr 84 on the right. Code from the street 1221A.